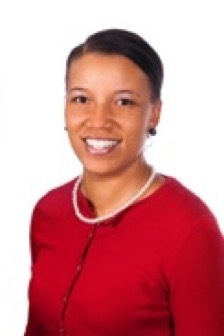 Dr. Zakiya Leggett is a professor at North Carolina State University and College of Natural Resources. She currently teaches Introduction to Environmental Science and serves as the campus Director for the Doris Duke Conservation Scholars program, which helps undergraduate students who are interested in research experiences in conservation issues as well as encouraging diversity in those fields. On the show, Zakiya shares her experiences as a sustainability scientist, her thoughts on including more diversity in the profession, and important advice to young students looking for a mentor or teacher. [1:35] A quick intro about Zakiya’s background. [4:40] How did Zakiya get into natural resources? [9:40] What does Zakiya mean when she ‘groomed herself’ for research? [12:45] After Zakiya finished her Ph.D., she found that the Forest Service did not have any available opportunities for her at the time. [14:40] What has been the most fun about Zakiya’s career so far? [16:00] When does a student really ‘know’ they have a sustainable career path? [18:45] Zakiya shares some of the ways you can shadow and learn from someone. [21:05] What kinds of challenges has Zakiya run into? [26:45] Is the profession making progress when it comes to diversity and more inclusion of other races and ethnicities? [30:05] Students have options, and if they see a leadership team that doesn’t reflect their values, they will look elsewhere. [32:15] What advice does Zakiya have for young students? [36:30] Zakiya shares her experience mentoring young students in the profession. [41:55] It’s important to be proud of your achievements and accomplishments and to be able to articulate them into a resume, even if you only worked at a location for a week. [47:30] Leaders know when to follow and when to lead!